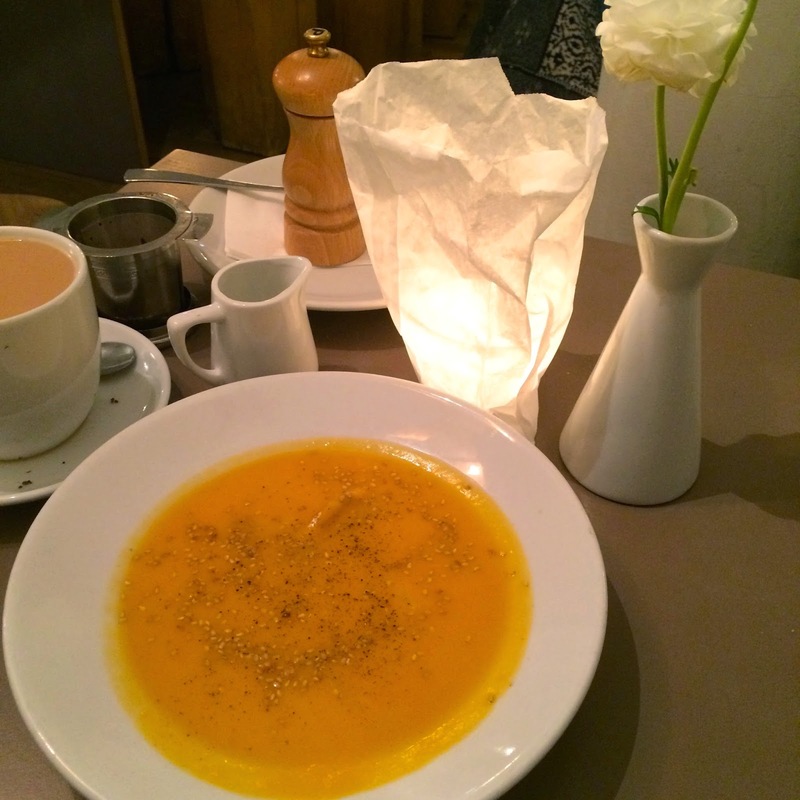 Laden is a cosy café/restaurant located in Munich's student area Maxvorstadt. No wonder it's always packed with people, gossiping over coffee or curing their hangover with a big plate of pasta bolognese. I've been there three times so far, so enough to tell you a little more about this place. Maxvorstadt is full of nice cafés, especially Türkenstrasse, where Laden is located. 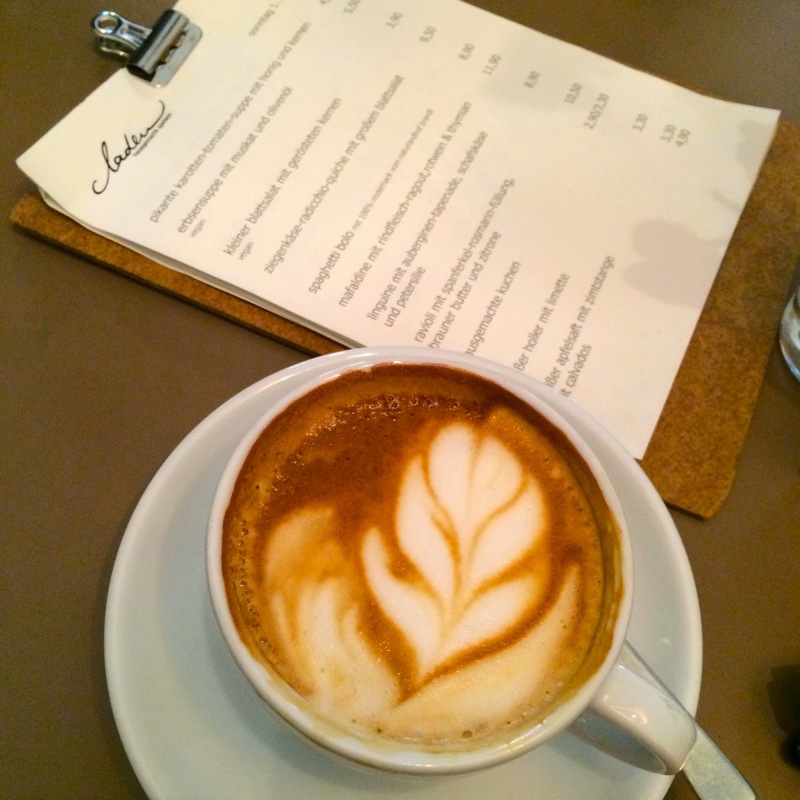 You might walk past Laden without looking twice because it looks like a regular café. But if you spot the amount of people inside, you know it's something a little more special. The menu is small and changes every day. You can get all the good "basics" you'd wish for: coffee, freshly pressed juices, solid breakfast, heart warming soups and filling plates of pasta. Everything is home made, and you can really taste it. Brunch is really good here. While the menu isn't super extensive, there's plenty to choose from. I went for the scrambled eggs with tomato and rye bread. Super tasty and all the flavours were just right. Another time I went to Laden after I got stuck in a hail/snow storm on my bike. I was completely soaked and freezing! The Chai tea and sweet potato soup with coconut and ginger were super delicious and just what I needed in this cold weather. I must try to recreate this!